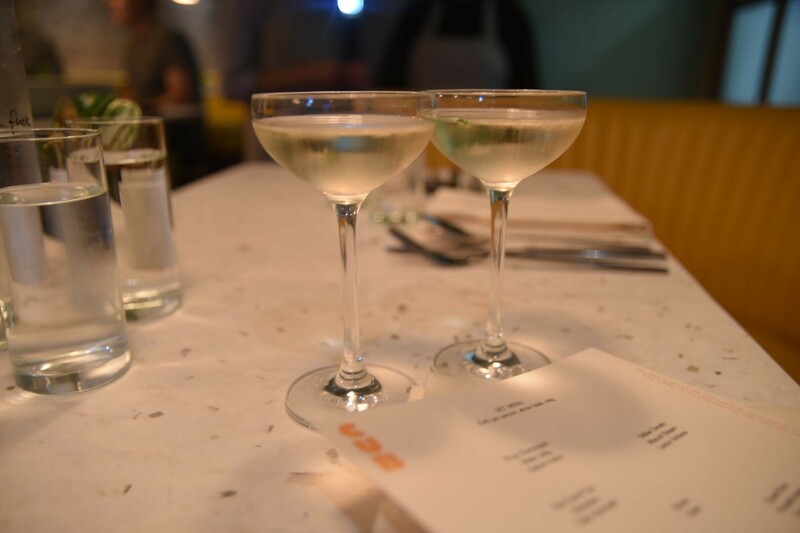 Those of you who read Sated on a regular basis know that we are not exactly coy about our gastronomic crush on the Mr Lyan brand and all that comes about under it. Whenever we hear of something new from the team – whether it be the crowning of Dandelyan as World’s Best Cocktail Bar; Super Lyan’s one-night only London Cocktail Week 2017 takeover by Melbourne-favourite cocktail bar, Black Pearl; or the righteous naming of business manager Iain Griffiths as Bartender’s Bartender at The World’s 50 Best Bars Awards – our ears are bound to prick up. However, our borderline obsession is not of the rose-tinted sort; it is based on following Ryan Chetiyawardana (a.k.a. Mr Lyan) and his dedicated crew’s antics, progression and unparalleled success on the bar scene over the past four years. So, you can imagine our excitement when we heard that Ryan, a long-time supporter of sustainability, was teaming up with Doug McMasters, founder and chef of zero-waste restaurant, Silo, to open Cub – a new venue set to blur the boundaries between food and drink. As soon as it opened, we had to go down and sample this new experience for ourselves. The street-level restaurant is housed in the top floor of what used to be White Lyan (another of Ryan’s multi-award-winning bars that closed its doors at the end of 2016). The once dark and industrial, New York-esque bar has been transformed into a bright and intimate dining space. 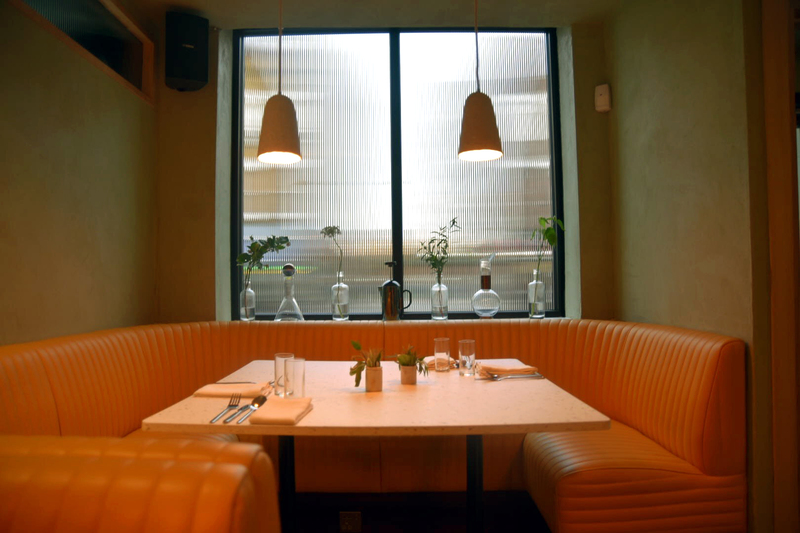 Warm, mustard yellow banquette booths wrap around a thin work station that serves as both the kitchen and bar. 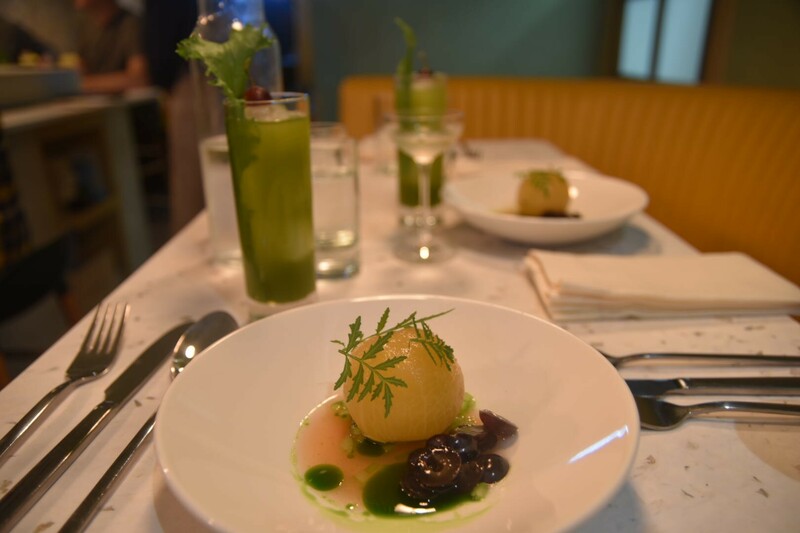 Earthy greens and brown hues give the space a fresh feel whilst nodding at the natural, foraged ingredients used in the drinks and dishes. 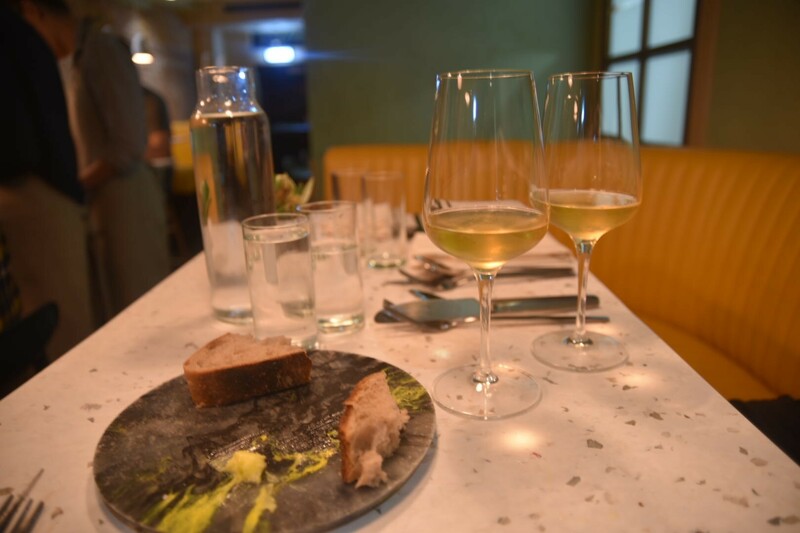 The anti-waste ethos of the menu is very much built into the restaurant, with tables made from yoghurt pots, Plaster of Paris lampshades and recycled clay walls that filter the air. 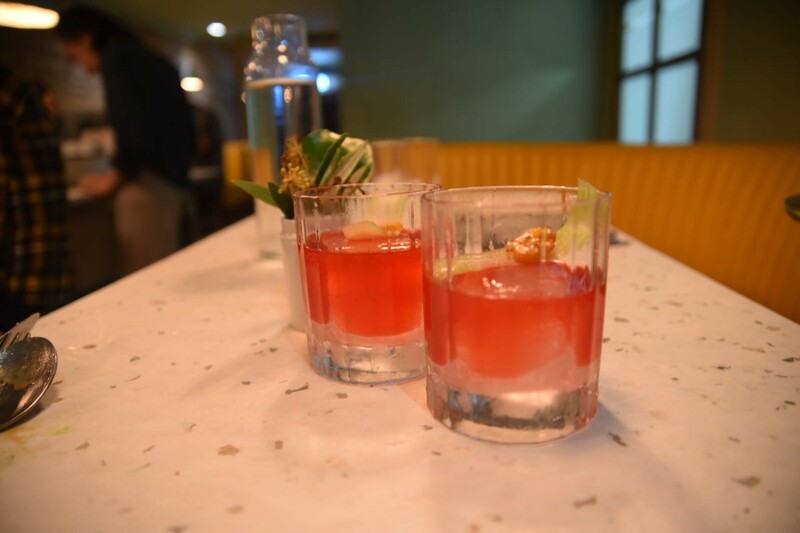 All-in-all, the atmosphere is cosy and dynamic, if not a bit cramped, with friendly staff artfully navigating the thin walkways and shared booth dining giving guests a titillating view of the kitchen-bar. But now, onto the food! 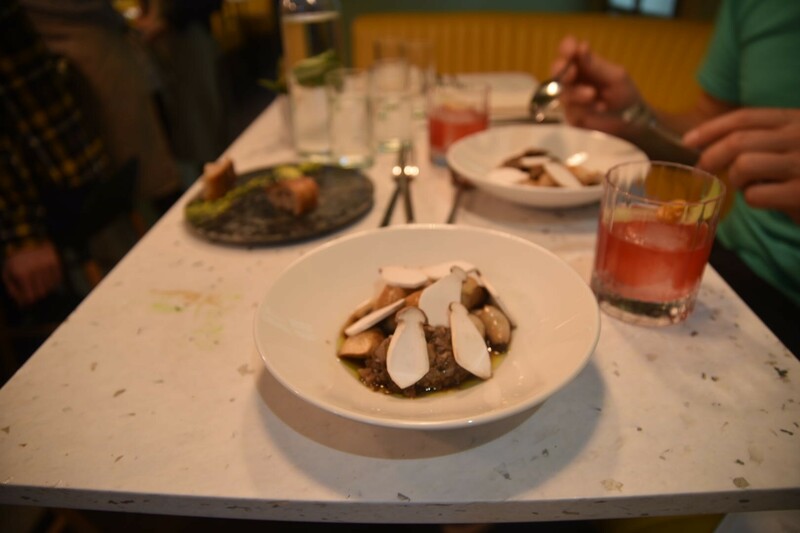 The menu is curated in the same way as the hybrid preparation station in that food and drinks are presented alongside one another; neither is given preferential treatment, instead they are laid out as ‘courses’, one after the other. Our meal begins with a saucer of Krug Champagne holding a bubble of water jelly made with pomelo, jasmine, olive oil and spiked with herbs – a quirky “amuse bouche” of events to come. The champagne is creamy with a lush fruitiness and dry biscuit-y undertones; however, the real star is the soft and juicy agar jelly, which disintegrates in the mouth, mixing with the bubbles to produce a bittersweet and gently floral profile that is thrilling in its feigned simplicity. Our next course of Yellow Tomato, Muscat Grapes, Lemon Verbena arrives as we’re still getting used to the sensation of the jellied fizz. Colourful and intriguing, a stripped, whole yellow tomato that has spent the night bathing in lemon verbena brine, perches atop finely chopped cubes of green tomatoes. Halved Muscat grapes, whose bitter centres have been gouged out, languish in their own juices and pools of lemon verbena oil float alongside them. We dive in and the tomato bursts on impact, its supple, sweet yet salty flesh providing a nuanced contrast to the crisp bite of the acidic green underlings. The sweetness from the grapes accentuate the tomato’s own and the crisp skins add a further satisfying crunch. It’s a pretty remarkable dish for something that is, in essence, a fruit salad with participants in varying states of undress. We continue onto our Kew Carrot Top, Belvedere, Vermouth liquid course that my dining companion accurately sums up as “tasting healthy”. Slightly carbonated, the cider vermouth adds a hint of bitterness but overall the drink is gently flavoured and akin to a watery healthy drink – with vodka. 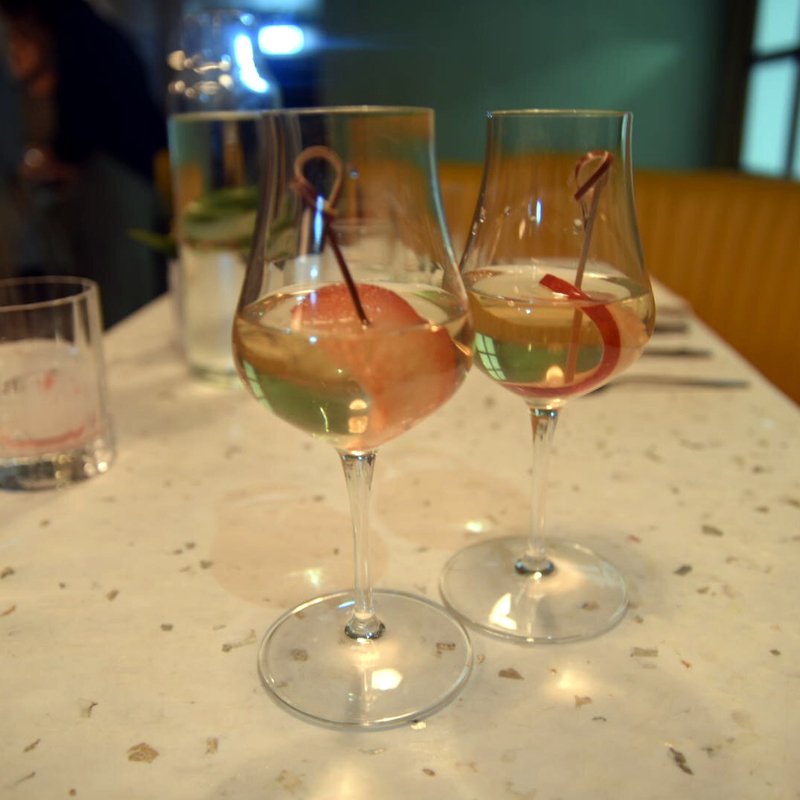 Whilst pleasantly refreshing, we aren’t bowled over by this one and eagerly peruse the menu for what’s to come. The smell hits us before the dishes arrive. 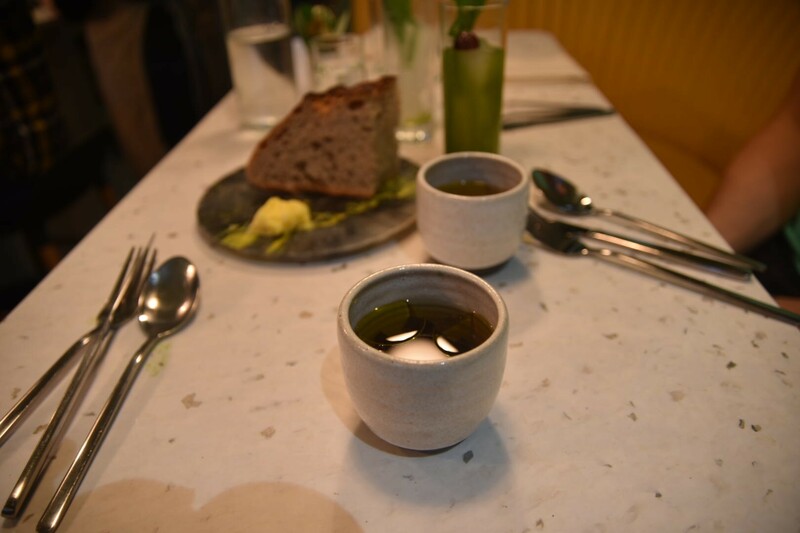 Deep, smoked meat aromas waft up from the Borough Broth Company Bone Marrow broth, contained in comforting pottery cups and we spy dulse red algae awaiting us in their depths. Our fantastic server, Jane, explains that the reason they don’t use much “flesh” on the menu, is that they haven’t yet found a sustainable way to do but that Cub is very happy to work with companies such as Borough Broth. The dish is as gorgeous as it smells: hearty, rich and deeply warming, and comes accompanied by e5 Bakehouse sourdough bread, paired with Cub’s delicately tangy crème-fraiche-base butter that is made of surplus whey from Neal’s Yard. As our cups are collected, we notice a very busy Doug passing Ryan a couple of plates to serve at an adjacent table. Once he’s explained the dishes to their guests, we quiz him on how the first few weeks have been going. “It’s been good!”, he says with his usual jovial straightforwardness. As we’re chatting, our next course arrives in a wine glass. Ryan tells us that it is actually a premium Farmhouse Saison from Goose Island brewery that isn’t available in the UK yet and which is a made with Georgian peaches inside of the barrel. Very fermented, almost foosty, the taste is sour and highly unusual. Verging on a fruit wine crossed with an ultra-dry, sour cider, the crispness of the bubbles gives it an almost champagne-like quality. “When I first tasted his, I was blown away. It’s like no beer I’ve ever tried before. That’s the nice thing about Cub; we can have a play and introduce people to things that we’ve been excited by”. Jane returns with her favourite dish of Chervil Root, Piroutte Apple, Turbo Whey, explaining that whey is one of Doug’s best-loved ingredients and also one of the reasons she has decided to not go down the vegan route. 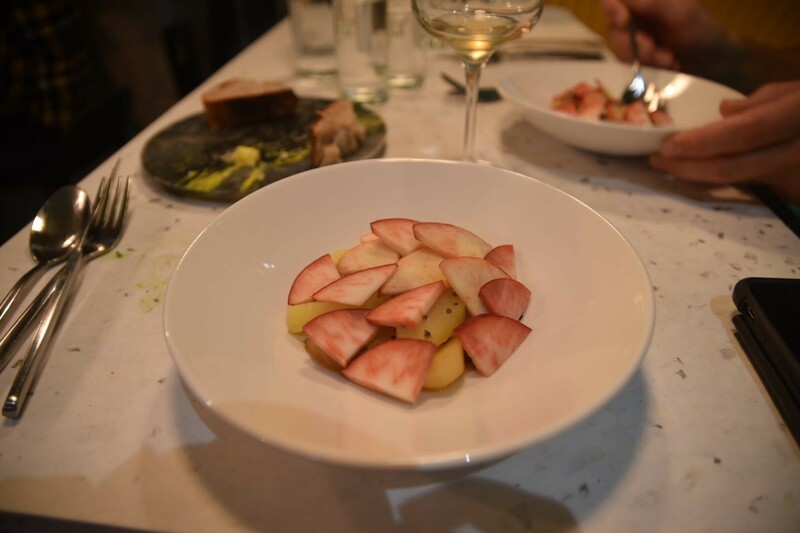 The plating is lovely, with raw Red Flash apples laid in a fish scale pattern atop a medley of blanched Piroutte apples and floury chervil root. The whey has been reduced down slowly, giving it an electric, butterscotch-like sweetness that plays on the palate alongside the profound saltiness and miso umami. Doug’s inventive use of whey (a by-product of cheesemaking that usually gets tipped down the drain) is certainly laudable. The sweetness from apples and almost potatoesque consistency of the root temper the saltiness of the dish and whilst it remains savoury, the zingy, butterscotch elements occasionally confuse our taste buds into sensing sweetness. Our next two courses arrive almost simultaneously: one is a Mr Lyan Scotch cocktail with Banana, Fermented Carrot and Sumac, the is other simply and accurately entitled Shrooms on Shrooms. 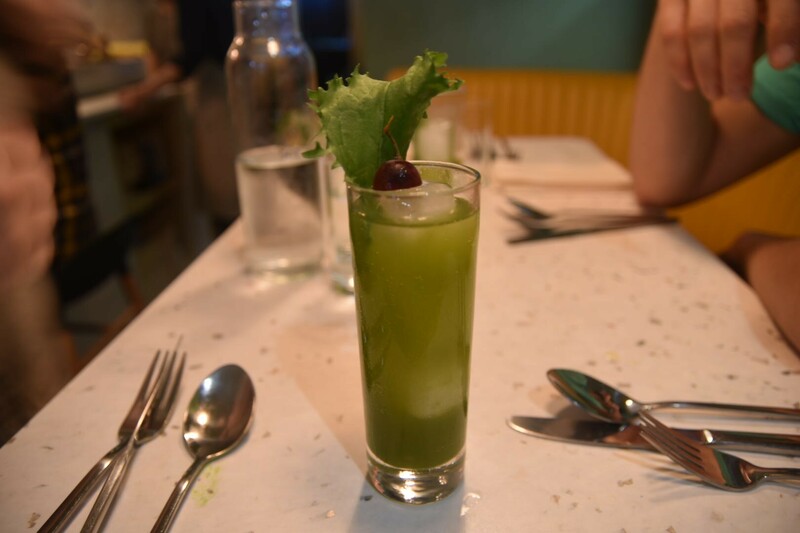 We take a sip before of the brightly coloured drink before digging into our plate of ‘shrooms. Slices of raw oyster mushrooms cover a ball of flavoursome minced fungi and perfectly roasted whole mushrooms. A crystal clear, rich broth sits in the bowl and completes this unapologetically mushroom-on-mushroom dish. We at Sated are firm meat lovers who have been known to death-stare those who withhold meat from us, however the dense fleshiness of this dish fully satisfies our carnivorous side. Whilst being comprised of a singular ingredient, ensuring there is no waste products, the course is balanced, complex and full of flavour. If we weren’t so beforehand, this plate has entirely sold us on Cub and we embrace its zero-waste policy by picking the bowl up to draining the remaining broth. Whilst we were less than excited about the accompanying drink on first taste, after a few mouthfuls of ‘shrooms, the taste completely changes. The oily mouthfeel created by the food along with its gentle saltiness transforms the cocktail into something jammy and vibrant that recalls a very subtle Scotch take on a Negroni, due to its light bitterness. A shaving of celery resting on the glass holds a banana chip cooked in coconut oil, that completes the sweet-salty fusion. 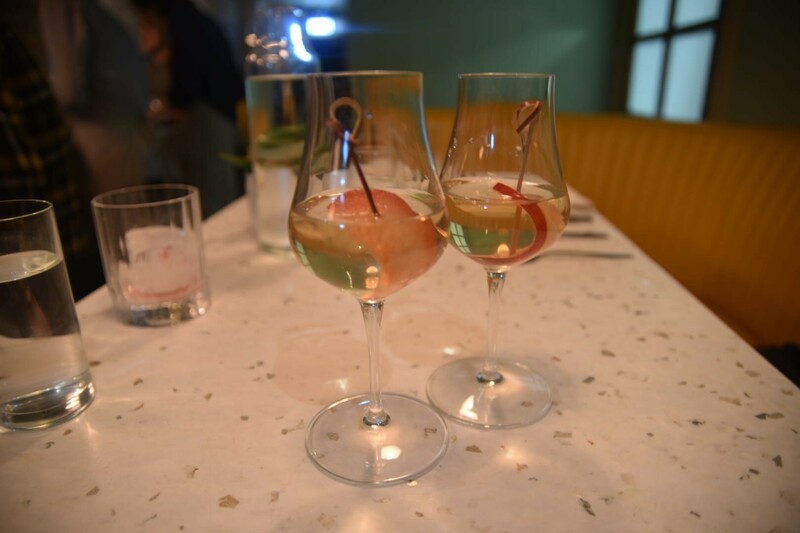 A white tea blend garnished with tender Calvados-soaked plum is brought in as a light and elegant palate cleanser, before we move onto the desserts. The first arrives in the form of smooth Peated Barley ice cream, made from a by-product of the Cub-made butter, infused with peated barley from Bruichladdich – an Islay-based distillery championing Scottish wheat, which Ryan took Doug to for his 30th birthday. 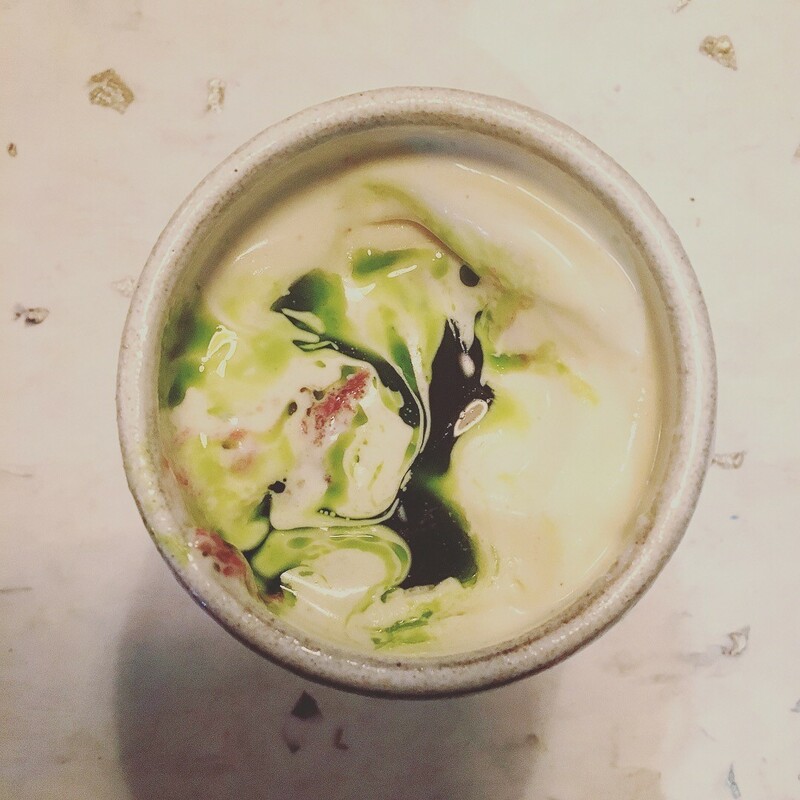 We push our spoons in through the green brine, made from fig leaves foraged from Shoreditch that sits in a pool on the surface, and are greeted with an unexpected showing of jammy red apple skin purée. Colour and patterns swirl and change with every mouthful in a fun and nostalgic display that typifies what ice cream should be about. 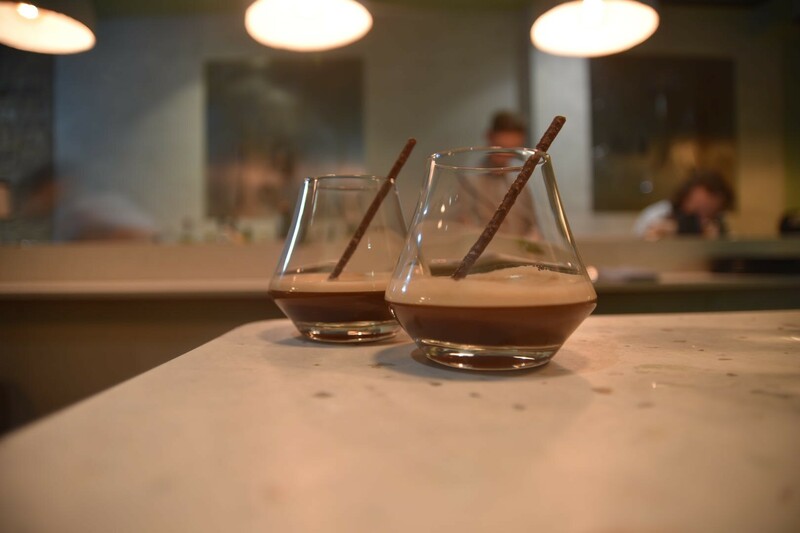 Our final course is a take on the post-dinner coffee, digestif and mint. Served in a handsome glass and garnished with a mint Matchstick, the chocolate and cognac drink has been created to baffle the palate. Ryan worked with a perfume company to create Capsaicin chilli, Szechuan pepper and mint distillates that affect mouthfeel and which different people experience in varying ways. We take a sip and the Matchstick by our noses immediately throws mint at our senses. Pepper prickles and numbs the back of our throats, followed by chilli tingling our tongue. The end is a cool fresh breath and a lingering heat in our chests. What is so bizarre is that, whilst we feel the changing sensation of the distillate elements, the taste remains unaltered. 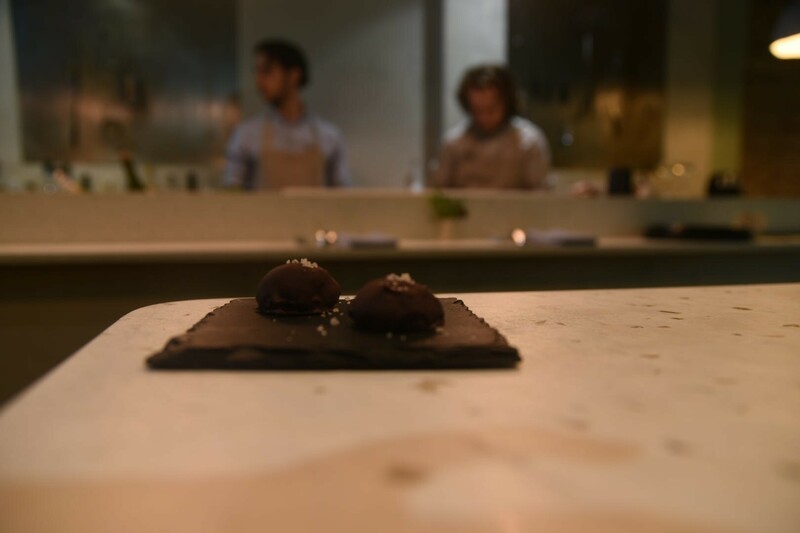 This amazing finale to a stimulating and thought-provoking experience is encored by a playful morsel of cast-off citrus husk from Super Lyan downstairs, that has been coated in pomegranate molasses and dipped in dark chocolate. Our evening has been a truly unforgettable one that has proven that sustainable living doesn’t have to be about sacrifice and luxury doesn’t need to produce waste. The phenomenal, attentive, knowledgeable and friendly 7-person team made up of Doug, Ryan, Anita, Jane, Michael, Peter and Gus, have worked miracles in this tiny space, producing exquisite dishes from items other restaurants and bars would deem waste products. We can’t wait to head back and at a mere £45 per person, we hope you will try this unique experience out for yourselves. 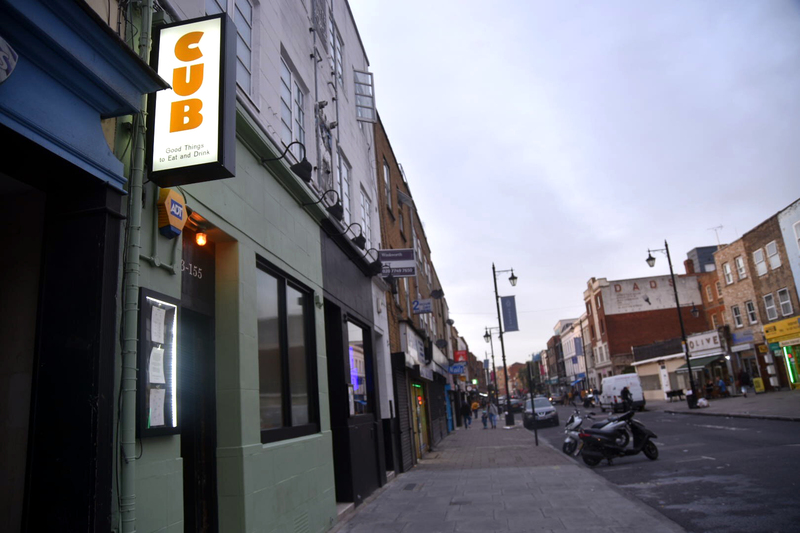 For more information about Cub, and to book, visit their website here.